SYNOPSIS: The greatest story ever told comes to life in spectacular clay animation. The Miracle Maker will raise your faith to new heights. Featuring the voices of an all-star cast, Christ's ageless tale unfolds around the story of a family seeking help for an ailing daughter. 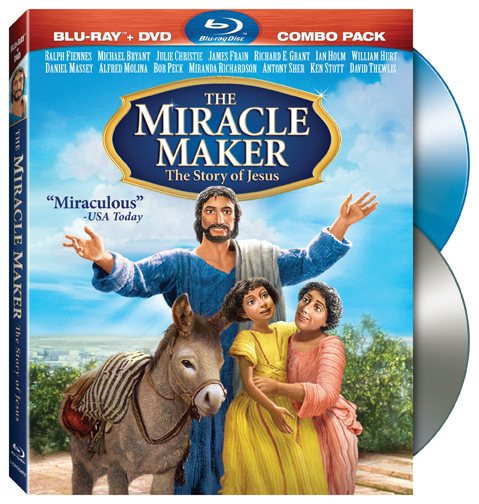 When they cross paths with an extraordinary carpenter named Jesus, the family's faith is put to the test as the father is torn between allegiance to the king and the desperate need for the miraculous powers of God. Don't miss this blessed opportunity to witness firsthand the power and the glory of the kingdom of heaven in your own home.